This 3-day course assists employers in meeting the current federal and selected state regulations for Fixed Cab Telescopic Mobile Crane & Boom Truck Operator training, testing, and evaluation for crane operators in general industry and construction not requiring national certification. This is NOT a national certification program. The course includes professional classroom instruction, a 200 page student workbook, practice quizzes, final written exam, and hands-on evaluation. Curriculum covers pre-operation inspection, controls, functions, stability, set-up, outriggers, leveling, cribbing, hazards, wire rope, load hooks, load handling, traveling, rotating, elevating and lowering loads, load placement, load rating charts, load weight calculating, calculating lifting solutions and signaling/spotting. A practical mobile crane operating evaluation will be completed on the third day. Students successfully completing the program will receive copies of all testing and evaluation documentation and a mobile crane operator training photo ID card (sent to you within 10 business days of the class). 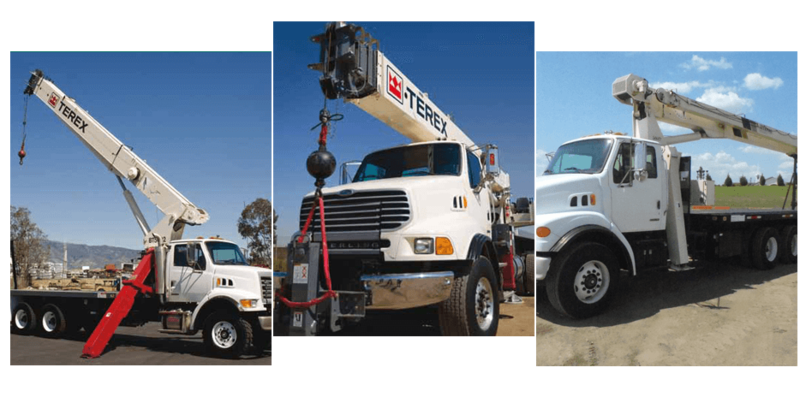 “Operator Refresher” per selected state regulations and national standards, crane operators are required to attend a four hour refresher course every 36 months to become re-qualified. “Refreshers” receive a 90 page student workbook and would attend only the first day of the program and would take the written examination to become re-qualified. To attend as an "Operator Refresher" you must possess a current and non-expired OVERTON Safety Training Mobile Crane Operator Safety Training ID card. The extended “Train-the-Trainer” workshop includes all of the above as well as "How to Be an Effective Trainer", color-keyed instructor's manual, PowerPoint presentation of course material, instructor/evaluator photo ID card & certificate of completion (to be sent to you within 10 business days of course completion), 10 student workbooks, written exam, exam grading key, practical evaluation form, sign-in sheet, score sheet, record keeping instructions, student card template, and a trainer tote bag.